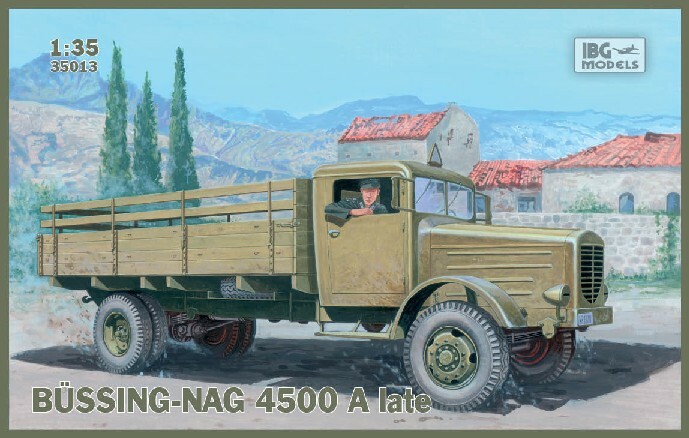 Beginning late in 1942, the Büssing-NAG type 4500 A replaced the Büssing-NAG type 500 A. The type 4500 A was more adjusted to the Büssing-NAG type 4500 S. Therefore, the engine bonnet was arranged much less ascending towards the driver’s cab and the side plated of the engine bonnet were undivided and had 7 louvers. This Büssing-NAG type 4500 A of the first series belonged to s. Panzer Abteilung 501 and was photographed in North Africa.